This page concerns itself with the properties on Edgewood that are in Skunk Hollow. Information has been gleaned primarily from city tax records. Additions or corrections are welcome. 3331 Edgewood/6409-41 Goodrich: Although these addresses are prominently displayed on a building seemingly on Edgewood, they do not appear in the city’s records. See Goodrich Ave. for a list of some tenants of this building in 1971. 3755 Edgewood: In 1964 this was the Curran V. Nielsen Co.: poured in place gypsum roof construction, fireproofing contractors, 25 employees. This is not a valid address today. 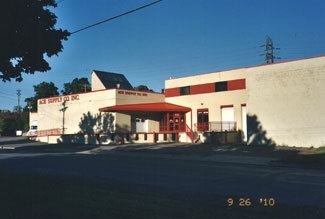 3825 Edgewood: This building, built in 1955, is the home of Ace Supply Co., owned by the Hasselbring Family. 3830 Edgewood: Now land, this parcel was owned by builder Allan Garrison in 1961. 3831-53 Edgewood: In 1952 this was the Strom Block Co. 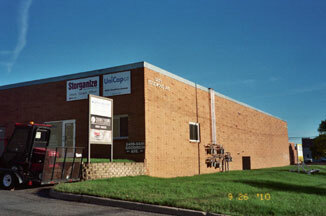 The present building was built in 1961. Also known as 6531 Cambridge. 3840 Edgewood: Land associated with 6521 Cambridge. 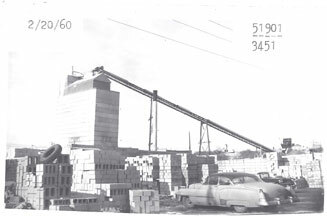 In 1957, owned by Allan Garrison. 3850 Edgewood: An alternate address to 6531 Cambridge. 3855 Edgewood: Built in 1957.